Puppetry: We will teach children various elementary form of puppetry such as Glove puppets, Rod puppets and socks puppets. Children will learn how to make these puppets and also how to manipulate them. The puppet making will follow the dramaturgy of play making with puppets. Mime: Mime is one of the most popular and a classical art form across the world. Mime is based on gesture and movements. It helps performer and audience to communicate without words. Under the training of mime children will learn the facets of body language, expression and body control. Clowning: The art of making people laugh is not only about cracking jokes or wearing colorful costumes or colorful face make up, it takes much more than that. Creation of a character, his portrayal, his script, dialogues, everything will be taken care in the clowning workshop for children. Theatre: Theatre the mother of all art forms and amalgamation of all the activities. 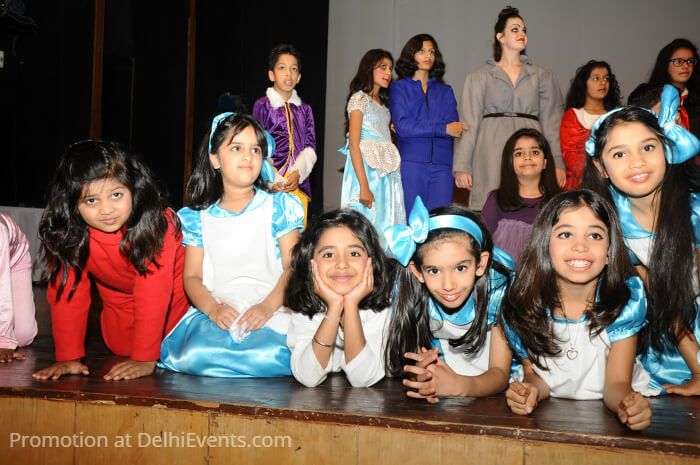 The said workshop will work on boosting the confidence of the children and personality development while learning the basics of theatre making and performing. Activities taken under the same will be, Physical exercises, Theatre games, Voice Modulation, Body movement, Improvisation and Role Play. Storytelling: Visit the magical fantasy land, the animal kingdom of panchtantra, unforgettable nights with Nani-Dadi, This workshop will introduce children with variety of stories. Children will also learn voice modulation, speech clarity and other character related techniques important for storytelling.